Whew! Back to Friday Favorites! This is the first weekend where I won’t be traveling or on the set of Job Hunters all summer, and I’m excited to catch up on some posts and work. But first, here are some of my favorite things from the past week! I took my mom to the ghost tour at the Pike Place Market, and while we didn’t see any spirits ourselves, we did get to hear a lot of really fun (and spooky!) stories and learn more about the history of the market. (Don’t worry, I wore my Ghostbusters tank top to keep us safe.) We both had a really good time and are thinking of going back for their mortuary investigation soon. Get tickets for the Ghost Tour here. Rachel’s Ginger Beer has been made locally for a while, but they just opened up a flagship store a couple weeks ago at Pike Place Market. You can go in and purchase half growlers of locally made, fresh, amazing ginger beer in a variety of flavors. (I tried and loved the strawberry and the blood orange!) You can also grab cocktails while you’re there, including a blended strawberry ginger beer and vodka concoction. 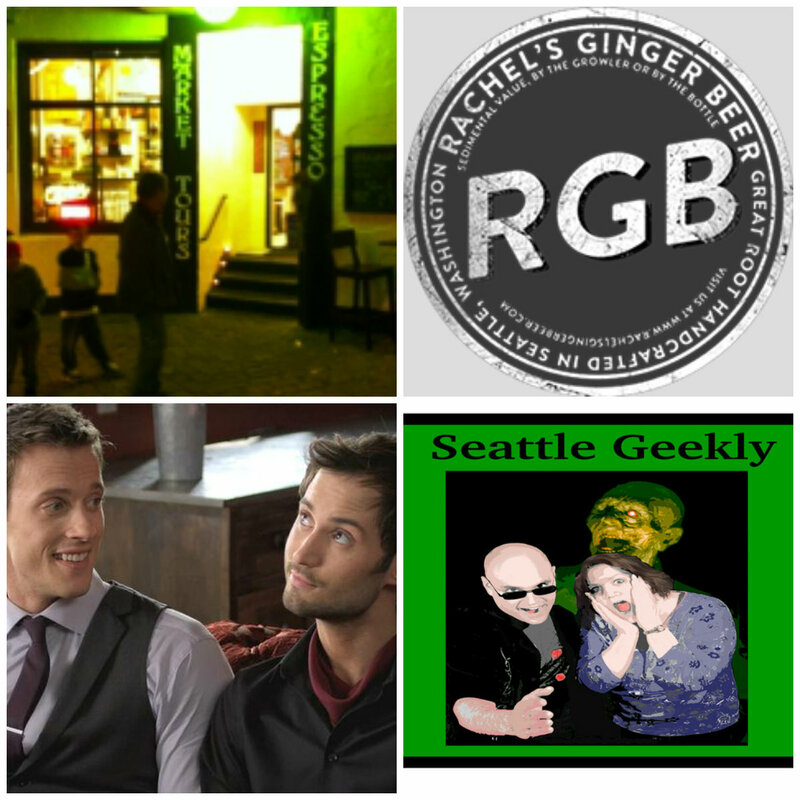 Visit rachelsgingerbeer.com for more info. Husbands is back and on the CW! Or on something they call “CW Seed.” Either way, yay for successful webseries! This season has even more guest stars and centers around an official wedding for the two lovebirds. Expect lots of family drama and some broken vases! Watch it here. Our good friends at Seattle Geekly are raising funds to start doing their podcast again, and I can’t wait! The podcast is entertaining and Shannon and Matt are some of the sweetest people. The Kickstarter’s been up for a day or two, and they’ve already reached half of their goal. Help them reach it!